Why is Bulbine such a useful plant? Which flowers can we eat, and which are poisonous? What is South Africa’s national fl ower? Why do some fl owers give off a rotten smell? Who pollinates our beautiful flowers? Children will learn interesting facts while enjoying hours of fun colouring in this selection of our most striking fl owers. 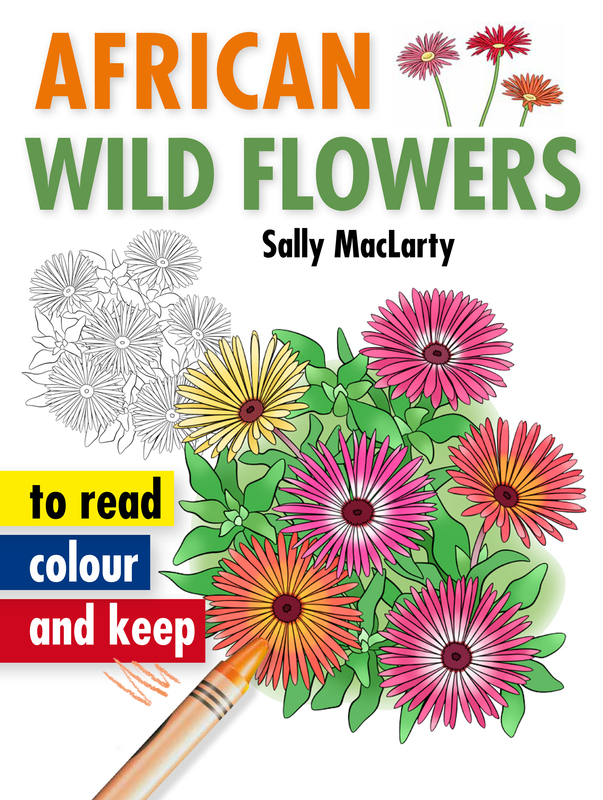 They can consult the colour guide in the middle of the book when choosing which shade of crayon or paint to use for the more than 40 outlined images – or make up their own fantastically-hued flowers! Sally MacLarty is a freelance illustrator specialising in the fields of education and natural history. She particularly enjoys working on children's books and has illustrated many such publications, including several in the Read, colour and keep series. She lives in Calitzdorp in the Little Karoo.